Location & Transport Minutes from Central London's fine dining, shopping and entertainment venues, the deluxe 5 star Westbury Mayfair Hotel is one famous name that is surrounded by others. Situated on Bond Street in the exclusive Mayfair area, it has Versace, Tiffany's, Armani, Sotheby's and Burberry as neighbours. Major tourist areas such as Piccadilly, Soho and Marble Arch are close by, and with the world famous Regent Street adjacent this is a great location for a London shopping trip. 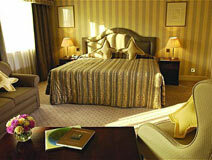 Ideally placed between four Underground Stations, 19 miles from Heathrow International Airport. The Westbury offers 247 rooms, which are fully equipped with modern amenities. All rooms are air conditioned with en-suite bathrooms. There is direct dial telephone system with USA and UK modem points, ISDN, in-room safes, satellite television, in house movies, private bar, hair dryers, trouser press, bathrobes and Molten Brown bathroom amenities. All rooms are double glazed for privacy. The on-site Polo Bar is a favourite London rendezvous, with its nightly entertainment and superb location making it the perfect place to meet. The Polo Lounge provides just the soothing atmosphere and light refreshments you need during a days shopping in Mayfair or after a hard day in the city. The Westbury's fully air conditioned Fitness Centre provides rowing, running, Nordic Skiing and step machines. The Centre is open 24hrs and has it's own changing rooms with showers and steam rooms. For business travellers, four private meeting rooms of various sizes offer accommodation suitable for an intimate dinner or a press launch, a lavish reception or a business meeting. . 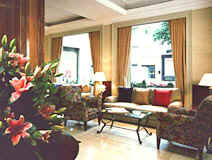 The Westbury Mayfair is the ideal choice for discerning guests from all over the world. by email or phone for the best rates. The rates are per room only per night . 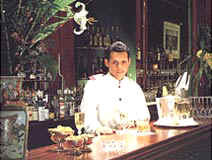 Our Comments We warmly recommend this wonderful 5 star luxury hotel. 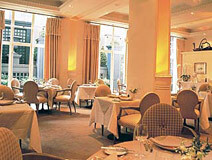 The Westbury is superbly located in Bond Street, right in the heart of the West End of London. A favourite address in Mayfair for the discerning guest for many years.